In this engaging and practical text, author Colleen Wahl presents a detailed and clear discussion on how to best use Laban/Bartenieff movement analysis (L/BMA), a system for observing, teaching, and analyzing human movement. 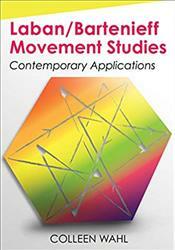 Laban/Bartenieff Movement Studies: Contemporary Applications offers a framework for understanding movement as it influences our perceptions of ourselves and others. In moving through that framework, Wahl explains what the movement analysis is, how it works, and how readers can use it in their lives. .On the most fundamental level, L/BMA seeks to help you address how movement is relevant in your life,. Wahl says. .The text is designed to develop your knowledge of the Laban/Bartenieff lens and cultivate it in meaningful ways in your life..